The link below is from a wedding rehearsal. I am playing my piccolo trumpet. If the link isn't active please copy and paste in your browser. Solo Act - Bb Trumpet: I play standard covers of all genres from the 1930's through today with recorded backtracks. You get the sound of an entire band or orchestra for the cost of only one professional musician. Suitable for indoor/outdoor events. Weddings/Liturgical Settings - Bb Trumpet, Piccolo Trumpet. I do not have back tracks for weddings or liturgical music at this time. The big goal is to add enjoyment to your event. Your audience can expect to hear music they thoroughly enjoy being played beautifully by a master of the trumpet. They will hear music ranging from Nat King Cole to Chubby Checker to Willie Nelson, the Eagles, Abba, Louis Armstrong, Joni Mitchell and many many more. Every tune is played beautifully with the the signature trumpet sound that is uniquely David Figge's. I can honestly say, I have never met another trumpet player who loves to play more than I do. I began performing when I was 14, touring the US and Canada with my hometown drum and bugle corps. The Patriots of West Bend, WI. 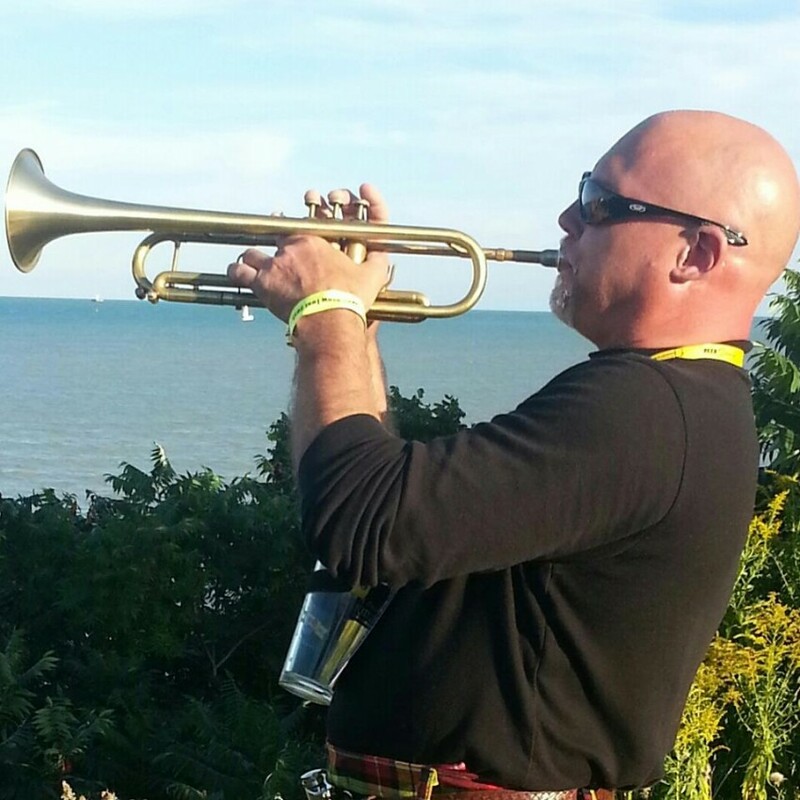 I studied trumpet at UW-Eau Claire, and UW-Milwaukee in the early 80's. After college I studied with several amazing teachers who helped fine tune my craft. Most influential was Alex Wilson principle trumpet for the Buffalo Symphony Orchestra. Mr. Wilson was a long time student of the peer of William Vacchiano of the New York Philharmonic and Trumpet Professor at the Julliard School of Music. Though I have always had another full time career I always made my music a high priority both as a performer and a teacher. In 2009 I placed 3rd at the DCA World Championship High Brass Solo Competition in Rochester, NY. In addition to my solo performances, I do teach privately both on line and in my studio, and am sought out annually by public schools to coach and teach their students. I have been a freelance musician for years having performed in most every state in the US, and abroad. I have had the honor of sharing a stage with many legendary musicians including Doc Sevrensen, and Woody Herman. Last year I traveled as a featured soloist with the Govenaires, a MN based marching group as they played in New York, then on to perform before millions in Shanghai, Suzhou, and Nanjing, China. Payment for the job is made prior to the start of the performance unless other arrangements are agreed upon in advance. I bring my own portable 350 Watt Fender Passport sound system to my gigs. I actually prefer to use that over most systems I run into, but that's only because I'm use to it and I connect with blue tooth to my Pad. I have about 10 ft of power cord so and extension may me needed. If I know ahead of time I can bring my own or I can use yours. I usually do not mic my trumpet when using my sound system and I get a perfect balance. I do not have portable stage lights.